Over the last 10 months, NetherRealm Studios has released a steady stream of Mortal Kombat X trailers. The videos have given fans snippets of information about the title's roster, while keeping huge chunks of the lineup hidden. But Mortal Kombat X hits the market next week, so NetherRealm isn't worried about secrecy anymore. Today, the company released the game's final trailer, and every single character was on display. Check it out, people. And if you enjoy System of a Down's "Chop Suey," crank those laptop speakers. To be fair, the folks at NetherRealm could still have a few tricks up their sleeves. A large number of classical characters (like Cyrax, Kabal, and Stryker) haven't been mentioned, but there are rumors about their involvement. We probably won't know which Mortal Kombat personalities will make up the final roster until the game actually hits shelves next week. 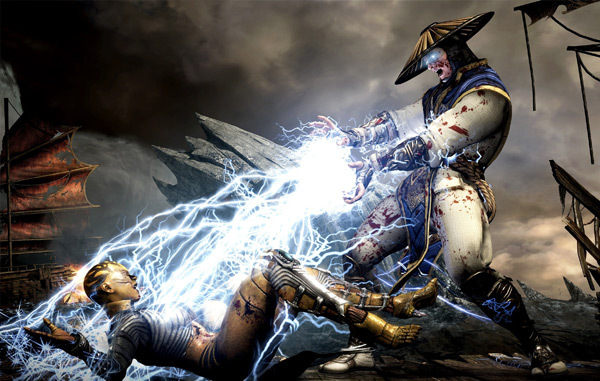 Last month, NetherRealm's Ed Boon sat down with GameSpot to chat about MKX's imminent release. Boon co-created Mortal Kombat back in 1992 with fellow developer John Tobias. He's spent the last 23 years working on this one franchise, so if anyone can speak intelligently about Mortal Kombat's roster, it's him. There's a really big push for the obscure character we have, Tremor, which I got so many tweets from players wanting that character. It actually stood out to me as odd, but there was this swell of people pushing for it with petitions online and all of this crazy stuff, so we included him, and a big reason was because of fans yelling loud enough. […] we give them moves that remind you of their parents or elders, so to speak, so you'll see little nods. And then there's also, just the new blood that we feel is needed. They are their own character, they play unique to the other ones, but there's that little thread in between, the little nuances, that we kind of keep nodding to the originals. Mortal Kombat X hits shelves on April 14th, so start whipping those thumbs into shape.